CELAES Financial Security Conference, Miami FL, October 30, 2018: Digital Shadows is pleased to announce its partnership with Digital Logistix to bring its digital risk protection and relevant threat intelligence to Latin America and the Caribbean. Digital Logistix is a leading distributor in the region of cybersecurity products and services, of top industry vendors such as Cylance, Fire Eye and McAfee. In choosing Digital Shadows as its digital risk protection solution of choice, it will provide both parties with the expertise, scale and reach to help organizations in Latin America and the Caribbean to monitor, manage and remediate their digital risk. Digital Logistix is the first partner in the region to join the Digital Shadows Channel REV program. This partnership allows them to offer the tools their business partners need to quickly build their own professional services around SearchLight™, the industry leading digital risk protections solution from Digital Shadows. The program was recently awarded a maximum 5-star rating by US publication CRN. 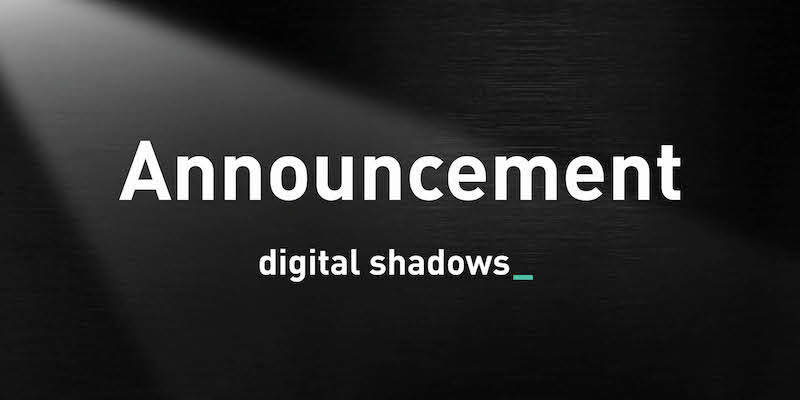 With more than eight years of expertise in the industry, Digital Shadows protects more than 200 organizations on a global basis from digital risks. The company now has offices in London, San Francisco, Dallas, Singapore and Germany and employs almost 200 people. Last year it completed its Series C funding round, with a total of $49 million dollars in investments, since Alastair Paterson and James Chappell founded the business. Digital Logistix, a wholly owned subsidiary of DigitalEra Group, LLC, is a leading distributor of network and cybersecurity products and services, serving major business, education and governmental agencies throughout the Caribbean and Latin America. In addition to access to the most sophisticated and effective security products, DigitalLogistix provides expert guidance on use as well as ongoing security council and insights that help their clients prevent security breaches and mitigate threats. For more information, visit: www.digitallogistix.com.